Rumours are not always true and if they happen to be true then there must be some evidence or reason behind the events. Same way if the chemistry works on-screen doesn’t mean there has to be a love affair in reality. They are actors after all and we should consider the fact that they can just act out and pretend love. They were amazing as a couple in the movie “2 states” but were never in a relationship. Now, there are news that Alia is dating Siddharth Malhotra and Arjun was dating Sonakshi and later broke up. Hrithik and Barbara Mori made headlines after their movie “Kites” and Hrithik’s father and wife both were disappointed. He later apologised to both of them and cleared a misunderstandings about the fake rumours. 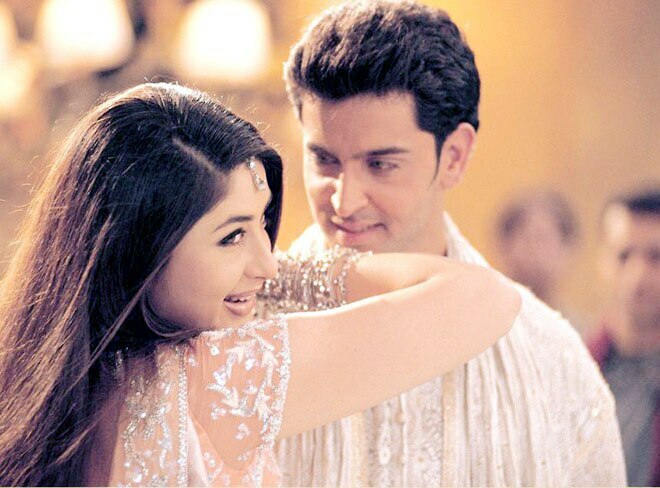 Hrithik and Kareena did many good films in a row and had to stop working together because of the rumours. This did affect Sussanne but then things got cleared with time. Shahid Kapoor and Amrita Rao’s rumours about dating went on for pretty long time based on their on-screen chemistry. They were never in a relationship and the stories were wrong. Sushmita was always about the people she dated so far and Shahrukh is one loving husband and a caring father too. So, this was sure a rumour. This became a big thing when there were news saying Gauri Khan was disappointed by Priyanka Chopra and believed in this rumour. But later things got sorted when Shahrukh announced after “Don 2” that Priyanka was just his co-star and nothing more or less. Salman Khan did had a soft corner for Asin but their bonding had nothing to do with the rumours that they were dating. And as we all know Salman was always open about his relationship status. Rumours of Akshay Kumar and Priyanka Chopra’s love affair started after their sizzling chemistry in “Aitraaz”. This was an obvious rumour and ended when they decided not to work together ever again. This rumour started after Salman Khan and Katrina Kaif broke up. They did work with each other in “New York” but never got into a relationship. Remember their chemistry in “Jaane Tu Ya Jaane Na”? Well, that was just in the movie and today both are happily married with the people they were actually in love off-screen and have kids too. After working together in the movie “Guru” there were many fake rumours that they were dating. But later when both denied, the rumours ended eventually. Their on-screen chemistry in “Dum Maaro Dum” was awesome but gave them a tough time answering the media and proving they were not in love. How can someone believe that Ranbir and Sonakshi are dating when there is already so much going on in media about the relationship he had with Deepika and Katrina. After Anushka and Ranveer broke up the rumours were Anushka is dating Arjun Kapoor and this was obviously another fake rumour. Randeep Hooda and Lisa Haydon were spotted spending time at a suburban 5- star and since then the rumours started. But they never admitted and cleared that they are just friends. Which of these you thought were really the truth and not just rumours!!! Comment below!!! 10 Top Listed Coffee Chains All Over The World To Have Mouth – Watering Coffee !! !